‘Invader Zim’ is Coming Back for a 90-Minute Movie! Good news, everyone. Nickelodeon is bringing back ‘Invader Zim‘ for a 90-minute television movie. The four big voices of the original series are set to return, including Richard Horvitz (Zim), Rikki Simons (GIR), Andy Berman (Dib), and Melissa Fahn (Gaz). The series will pick up on a desperate and delusional Zim, as he tries to take over Earth once again. If you’re unfamiliar with the show that debuted back in 2001, ‘Invader Zim‘ followed an alien named Zim who comes to Earth in hopes of conquering it. Zim is perhaps two feet tall. 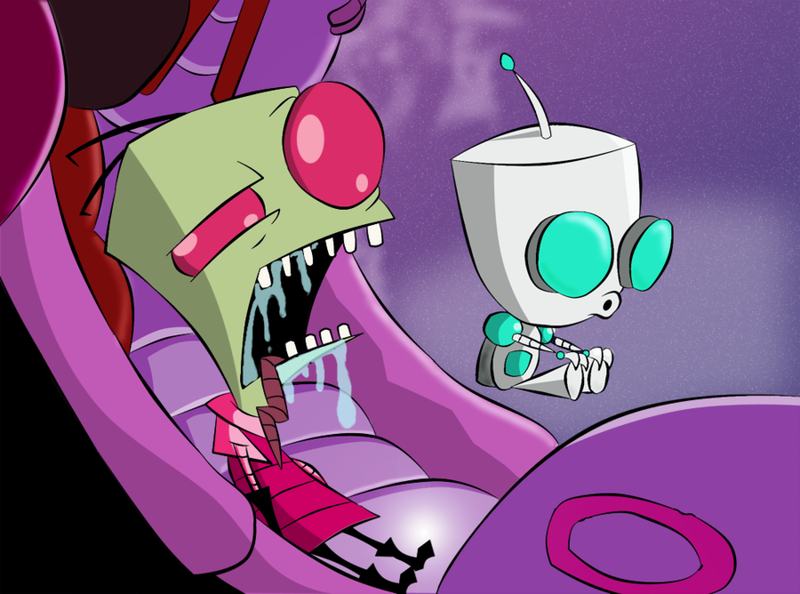 Zim and his robot friend GIR, try to blend in with the human race while trying to conquer. Jhonen Vasquez certainly struck gold here in creating this show and its characters. There are quite funny, gross, honest, and very entertaining. It’s a shame the show didn’t do as well as it should have. With Nickelodeon bring it back for a TV movie seems like the right choice, because they can gauge interest in perhaps bringing it back for a whole new season after that. Any new ‘Zim’ is good ‘Zim’, right? Stay tuned for more details as they come available. This entry was posted on Tuesday, April 4th, 2017 at 5:24 pm	and is filed under Film, News. You can follow any responses to this entry through the RSS 2.0 feed. You can skip to the end and leave a response. Pinging is currently not allowed. « Blu-ray Announcement: Fifty Shades Darker!